Lorna is using Smore newsletters to spread the word online. Celebrating 25 Years Thanks To You! 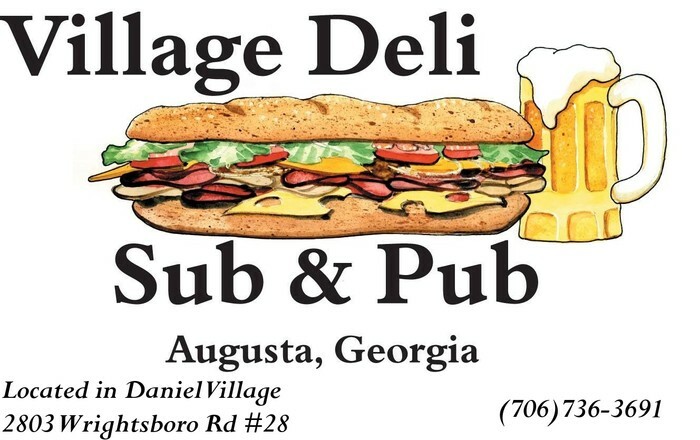 Many of you already know that the Deli is a comfortable place for family and friends to gather, have good food, friendly service and enjoy Augusta memorabilia. The menu ranges from egg salad sandwiches to prime rib dinners on Friday nights, with awesome soups, salads, burgers, sandwiches, wings, desserts and much more. The menu is huge and the specials change daily. Our full service bar provides a wide variety of beers-draft, bottles, cans and many craft beers, as well as many delicious California wines; and our liquor well includes Skyy Vodka and Dewars. We have been voted Best of Augusta and Metro's Best by our customers many times and in many categories. But the best compliment is when you come back in and bring your family and friends to enjoy your neighborhood spot!